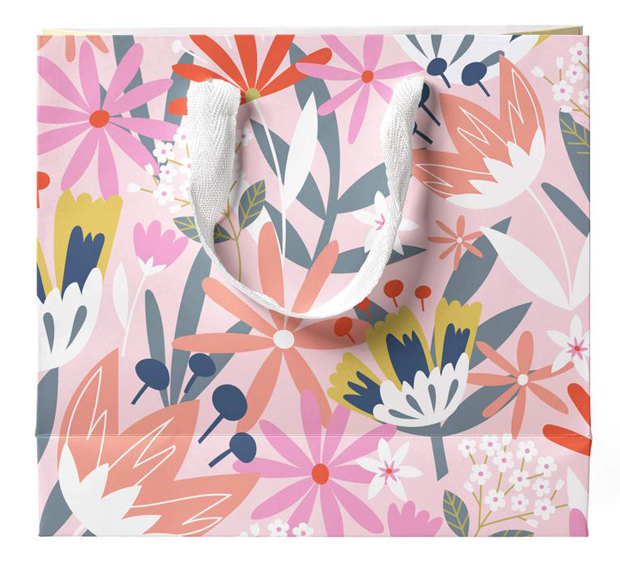 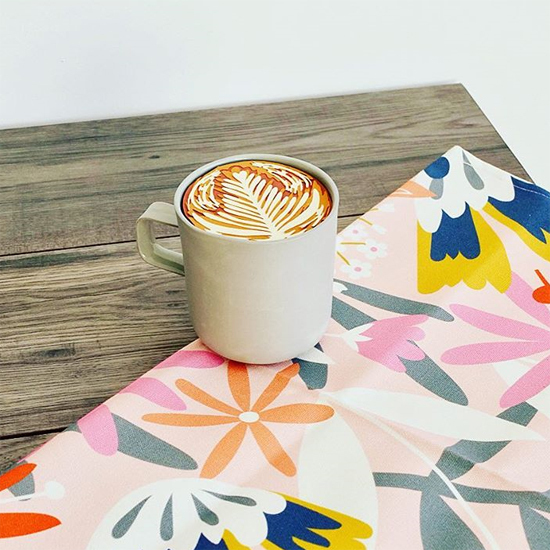 This beautiful floral print is not strictly just for Mother's Day, but it is part of the Whistlefish Spring 2019 collection. 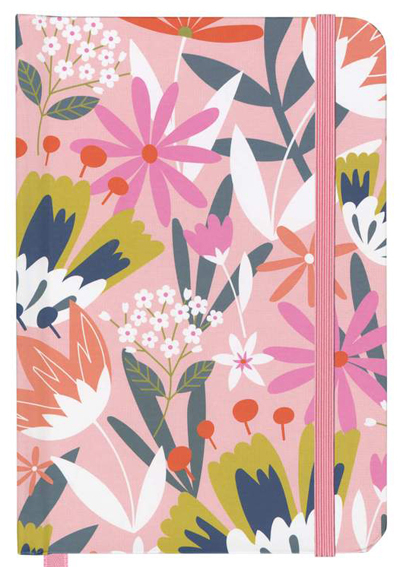 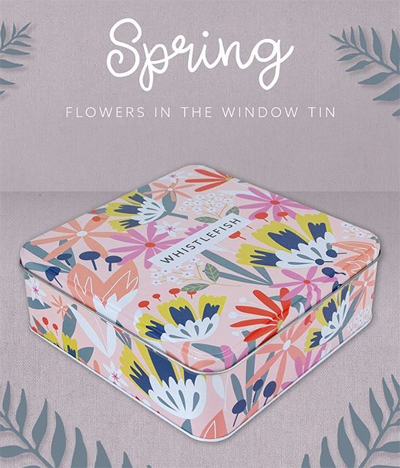 Called 'Flowers in the Window' you can find it across not only gift wrap but also on cushions, tea towels, notebooks, bags and tins. 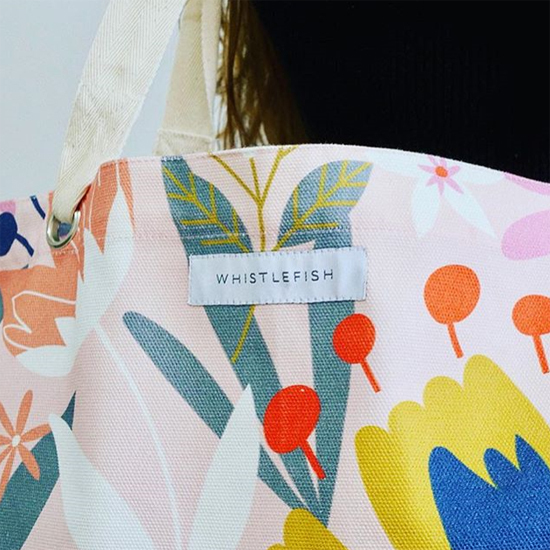 Whistlefish are known for their stylish designs at super affordable prices, and were founded in Cornwall by artist Lyn Thompson. Find cards, wrap, and gifts for all occasions online here. 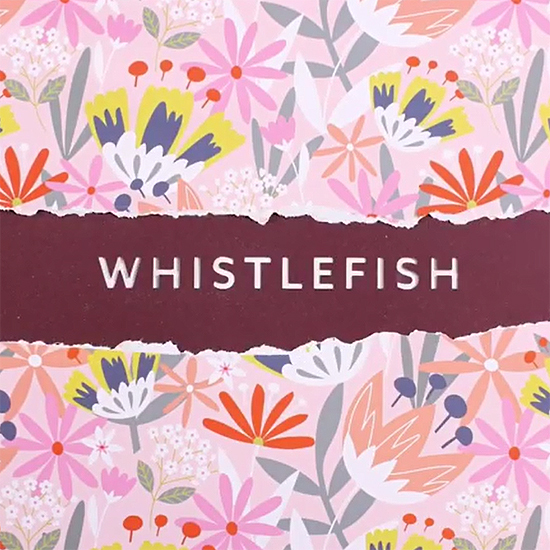 I am a huge fan of card publisher Sooshichacha. 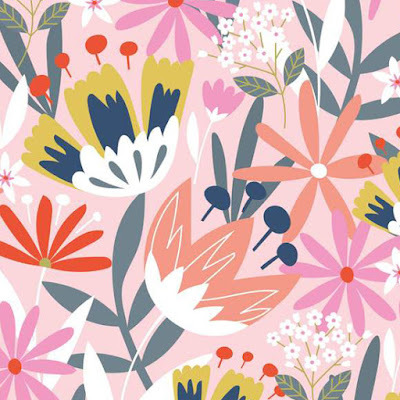 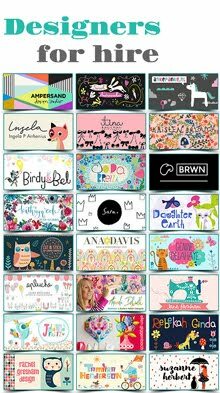 Founder and designer Lucie Chadderton creates painterly designs that look effortless but are in fact beautifuly considered with eye pleasing layouts and gorgeous colour palettes. 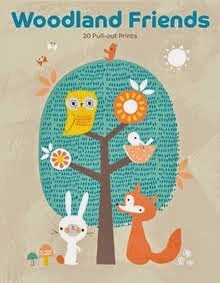 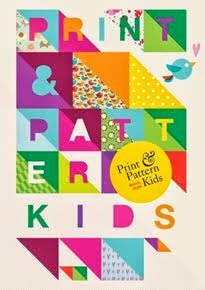 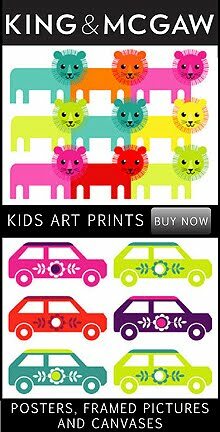 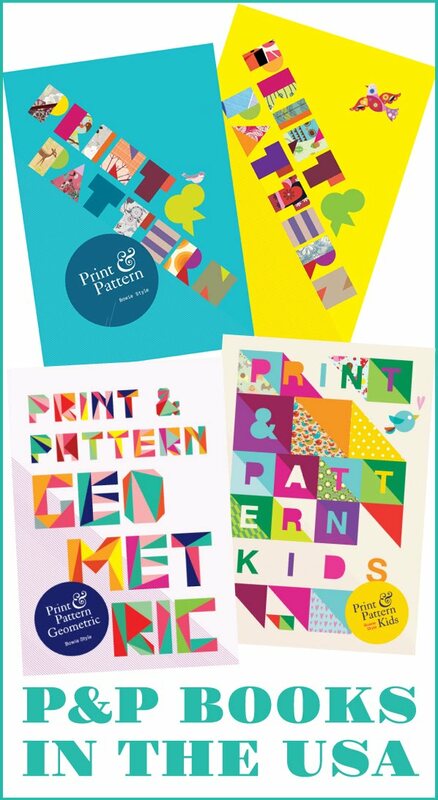 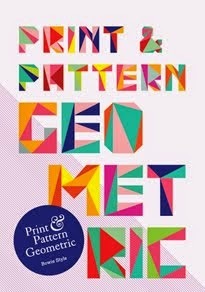 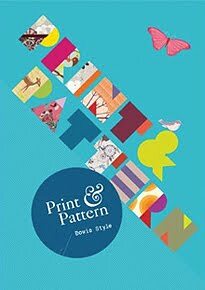 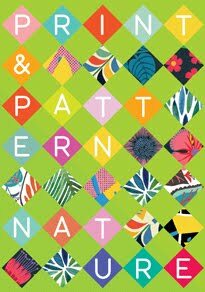 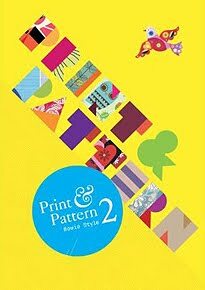 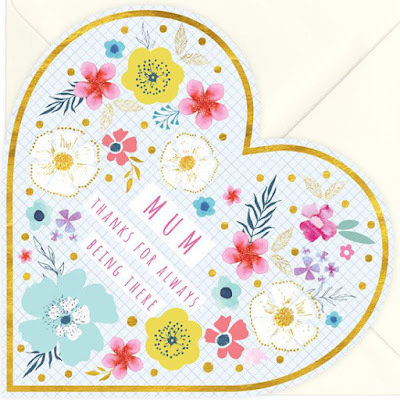 For Mother's Day they have some lovely new designs and classics from previous collections still in print. 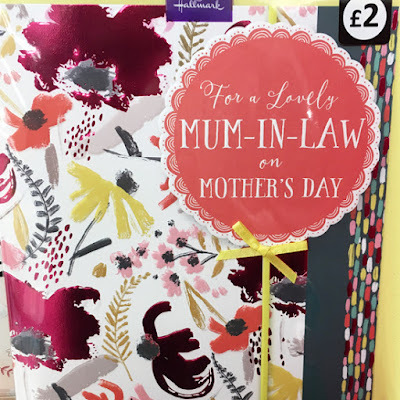 Find them in all good card shops now. 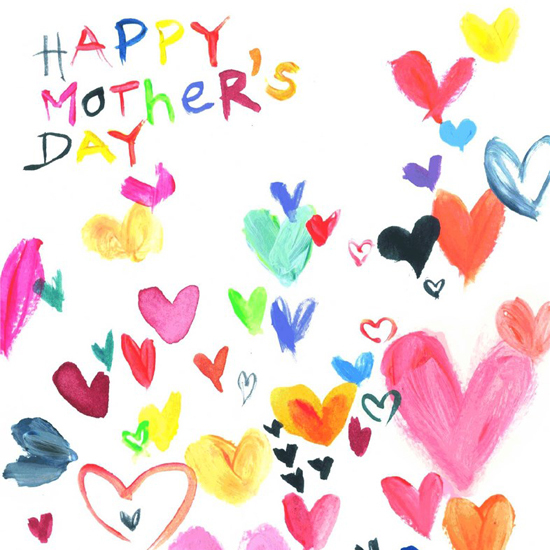 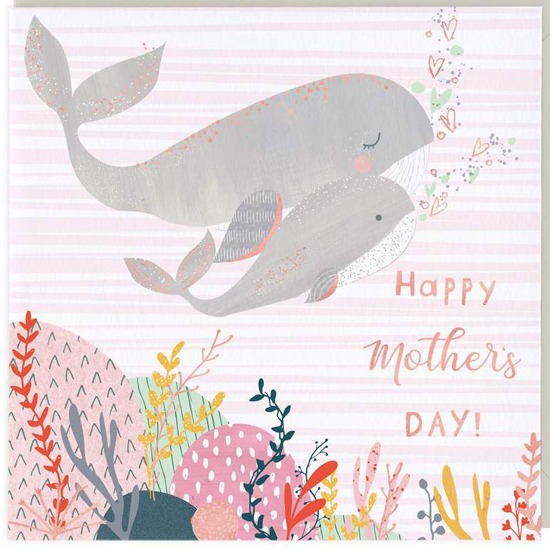 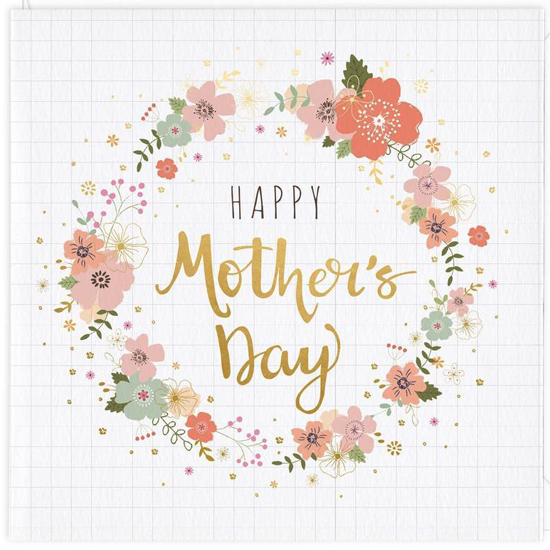 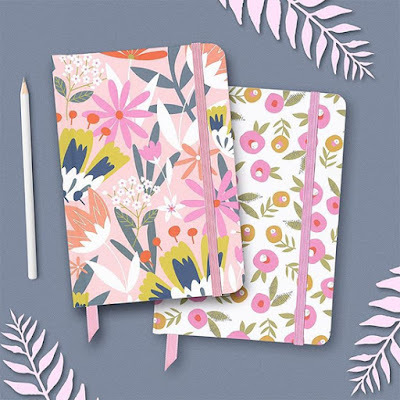 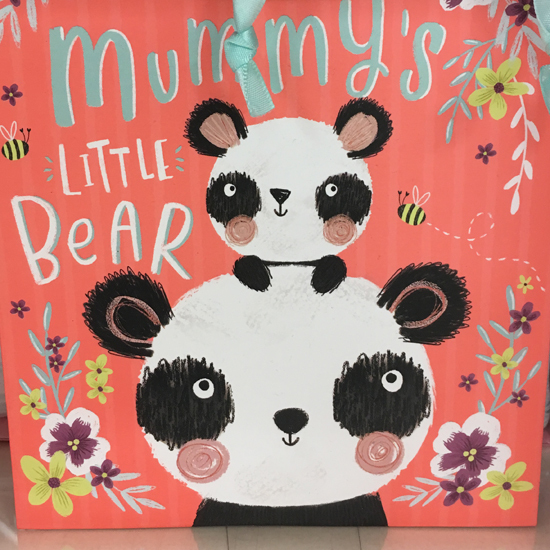 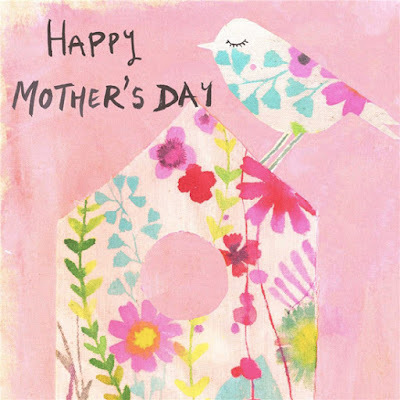 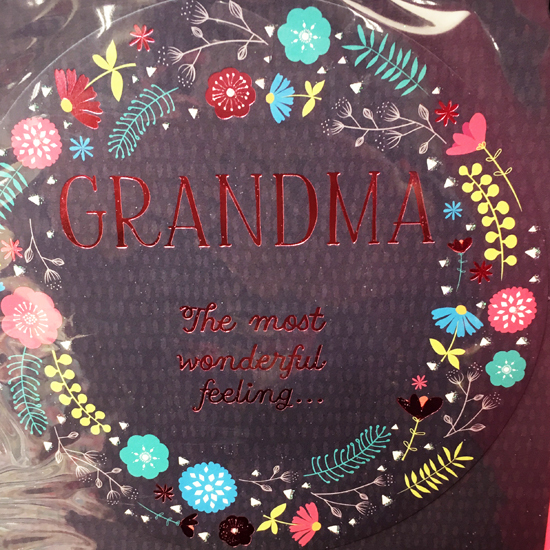 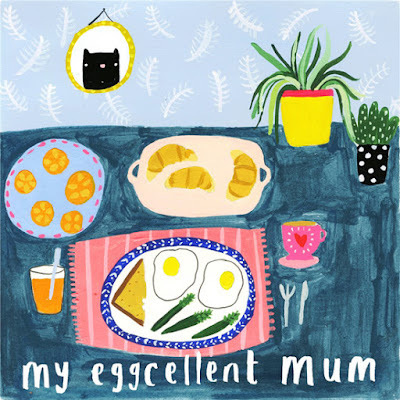 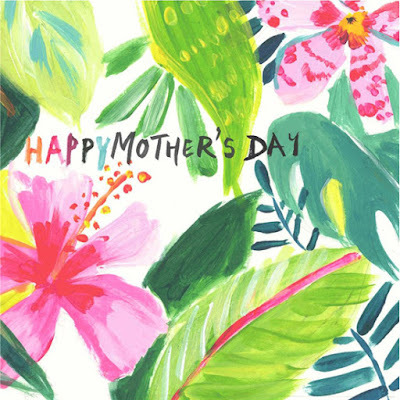 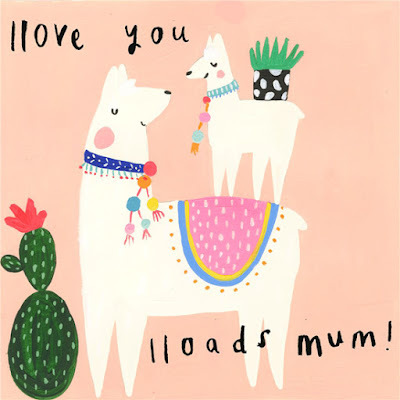 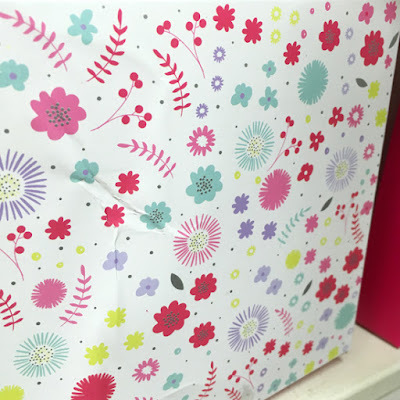 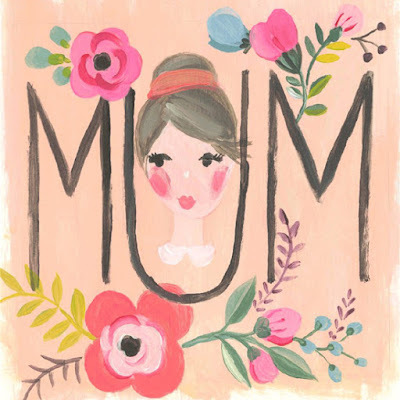 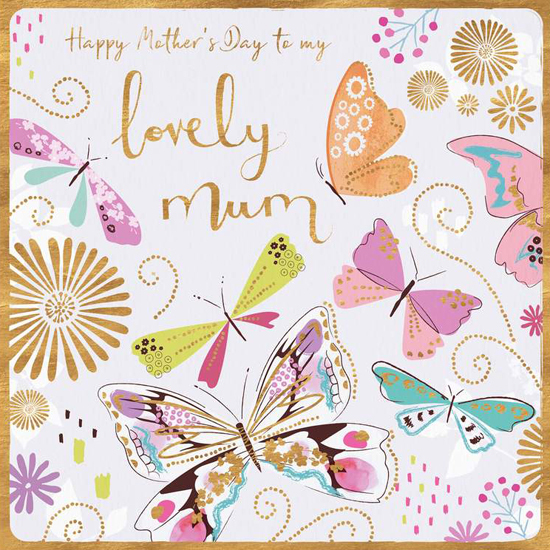 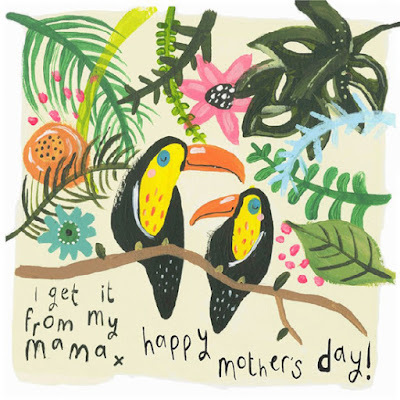 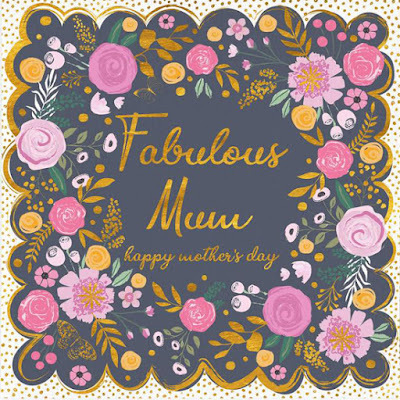 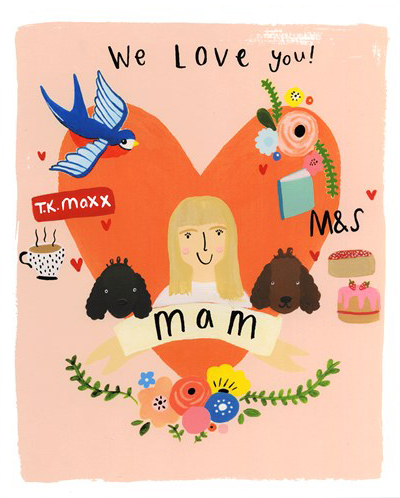 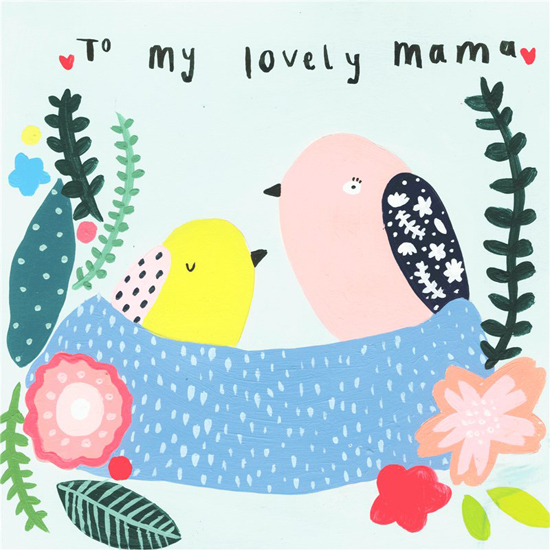 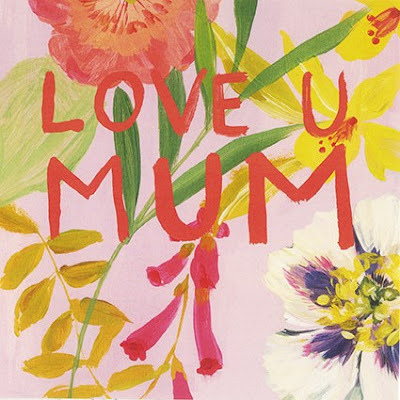 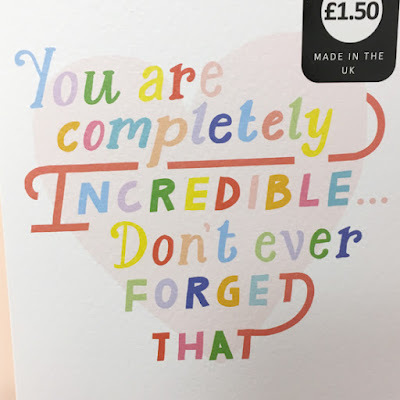 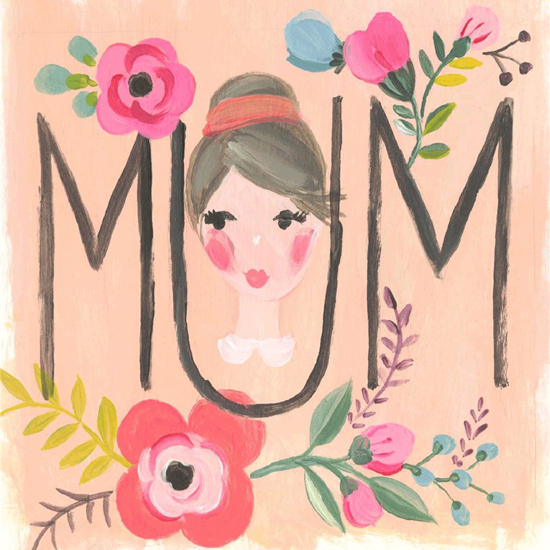 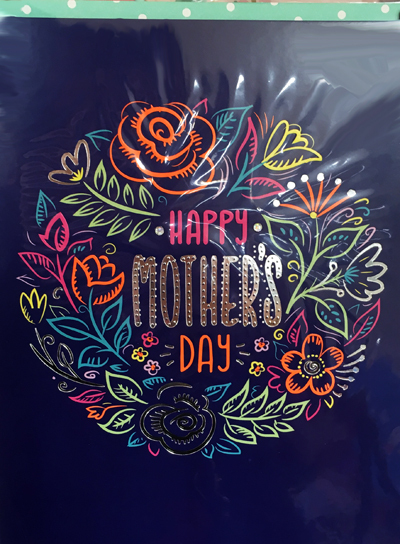 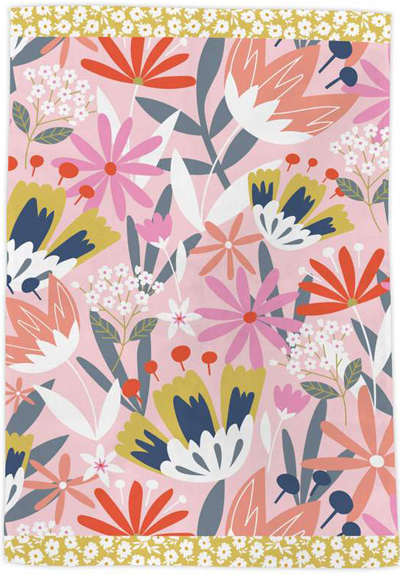 It's Mother's Day week here on Print & Pattern and today we look at Tesco who have a wide selection of cards, wrap and gifts for 2019. 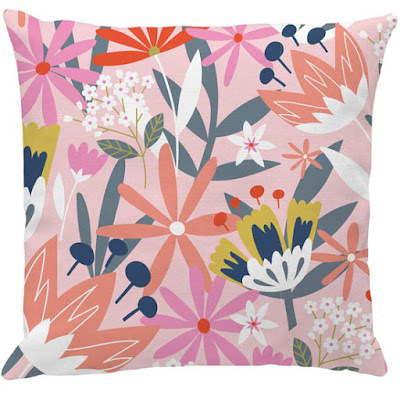 Whether you're looking for cute, on trend, sophisticated, or traditional they have it all. 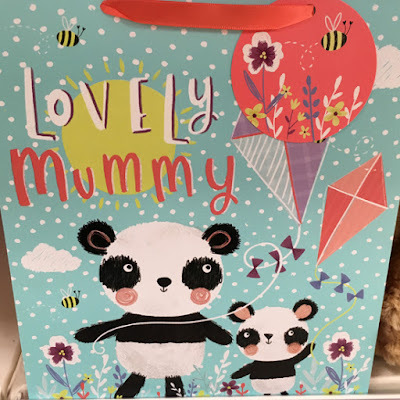 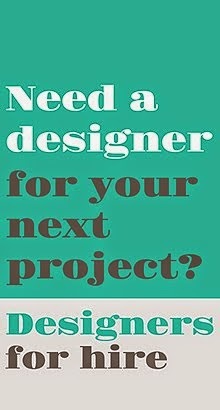 Scroll down to see a selection of snapshots of the designs spotted in my local store.